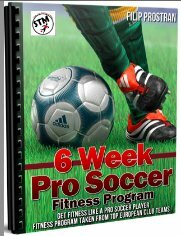 Ready for Soccer Tryouts in Europe? Here's What You Need to Know! There's lots to know about Soccer Tryouts in Europe and about the clubs you may be trying out for. Before you think Mourinho is going to ask you to sign, there are some things you need to know. Aren’t All Clubs the Same? All clubs are not created equal. You may be so pumped to play pro and wanted it your entire life that you don’t care where you end up, any pro team will do right? Wrong. Don’t let the prospect of playing professionally allow you to settle for any old team or take any opportunity no matter the situation. I learned that lesson the hard way with one of my soccer tryouts in Europe. I ended going on trial and staying with a club for a little while in some small town of Serbia. The wages were no good, never on time. The club treated you like a piece of meat and the general atmosphere of the club was negative. Every touch, sprint and pass was questioned and there way of dealing with every issue was to scream at it. If you are willing to be dragged through the mud just to say “I played pro”. Then go for it. But remember, what you see on television in the EPL, Champions League etc is 2% of professional football, the rest is a grind and a fight. How Do I Know if A Certain Country or Club is a Good Place to Go? Great question. Every country and every club is different but there are certain places in the world where you may raise your eye brow if you have an opportunity to play in. 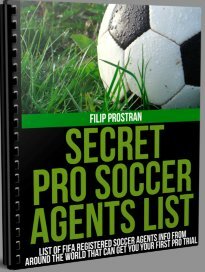 1) Ask my agent to ask other agents or contacts what that club and country is all about so I know I’m getting into a good situation if I decide to go on trial there. 2) Do some research myself on the club/country. Whether it’s online or wherever else. 3) Since I have teammates now all over the world I try and contact an ex-teammate who has played in that country or if I’m lucky that same club. If not I ask a bunch of teammates what they have heard about it. Somebody is bound to know something about it or crossed paths with that country and will know what quality of football is played there. When Do I Get to Tryout for a Big Club? Nothing else matters or should matter; same as any job, you want to work for Google but before that you worked at Burger King and Wal-Mart, good luck! Oh you worked at Microsoft and Apple? Google will now be more inclined to give you an interview (trial). That’s exactly how it is in the professional soccer world, so remember it takes time and takes a natural progression of you building your resume and credentials. That or marry the club presidents daughter! No team will take a risk on an unknown, especially if they have hundreds of local kids or players already in their program with the same playing experience, or lack their of. If nothing else, playing on a lower club will give you the opportunity to build your portfolio and video highlights for marketing the next step. What If I Have No Other Options? If your options are down to one and it’s either there or nowhere you need to ask yourself if you’re willing to be dragged through the mud for a season. Because you don’t know the situation you’re entering you have to assume the absolute worst. If you say yes to that question then you have your answer. Soccer tryouts in Europe can lead you down a difficult path so you need to be prepared for everything. Although it may have been a difficult time in the lower leagues at times before I worked my way up, you must realize that those experiences as difficult as they may be will prepare you to expect and be able to deal with anything later in your playing career. Are All Clubs Like This? If you have a bad experience with your first season with a club, or first trial don’t kill yourself over it. Head up, you must look forward and use that experience with whichever soccer tryouts in Europe or elsewhere you get next. Not all clubs will be disorganized, disrespectful and unfair. Many of them are but several of them aren’t. Generally, the higher the team in rank (division) the better the wages, atmosphere and organization. This is not always the case though; I’ve played in clubs in the second division of countries where teams had better financial stability along with everything else. Use your ex-teammates, friends and history of the club to determine how a club functions day-to-day and over the years to understand a little bit of what you are getting into. Like anything new in life be prepared for bumps in the road and challenges day-to-day and week-to-week. A path without obstacles usually leads nowhere; soccer tryouts in Europe are difficult for many reasons so be ready to roll with the punches, no matter how hard they may swing.